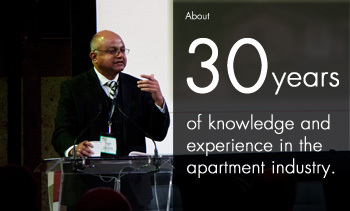 Derek Lobo is the founder, CEO and Broker of Record of Rock Advisors Inc., Brokerage and DALA Group of Companies. Since 1986, after seeing an opportunity for products and solutions in support of the purpose-built rental apartment market, Lobo has served the industry through multi-residential consulting and brokerage work. His company’s feasibility studies have helped hundreds of clients wisely invest in the construction of new apartments throughout Canada. 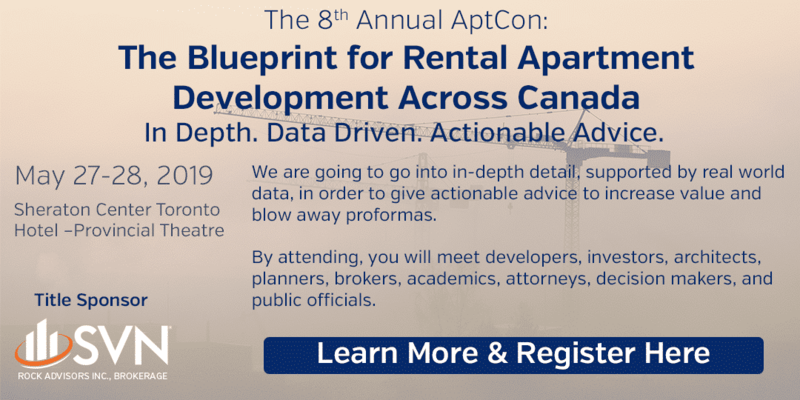 Derek Lobo is a passionate and engaging speaker who has given dozens of talks and keynote addresses on topics related to the purpose-built rental apartment industry. He is more than happy to share his expertise and his enthusiasm on such subjects as new apartment construction, apartment management, student housing, the state of the industry, and more. In 2005, Derek took a six month sabbatical from Rock to serve as the VP of Sales and Marketing for CAPREIT (TSX: CAR.UN) in Toronto. Has worked for Starlight Multi-Family US REIT (TSX-V: UMF.A and UMF.U) and currently serves on their board. Spoken at the National Apartment Association education conference and exposition. Spoken to the Town and Gown Association of Ontario. Spoken before the Association of College and University Housing Officers, including ACUHO International and ACUHO Ontario. Have been interviewed and quoted in the Globe and Mail, the National Post, the Toronto Star, RENX, Canadian Apartment Magazine, FE Magazine (FRPO), Building Blocks Magazine (GTAA) and Canadian Real Estate Magazine. Have served as an expert witness for the Ontario Municipal Board.